Whatever your particular interest be it Steam, Diesel or Electric locomotives, mainline or preserved railways, or UK or overseas railways, the 8E Railway Association has it all! Come to one of our monthly meetings and have a look. 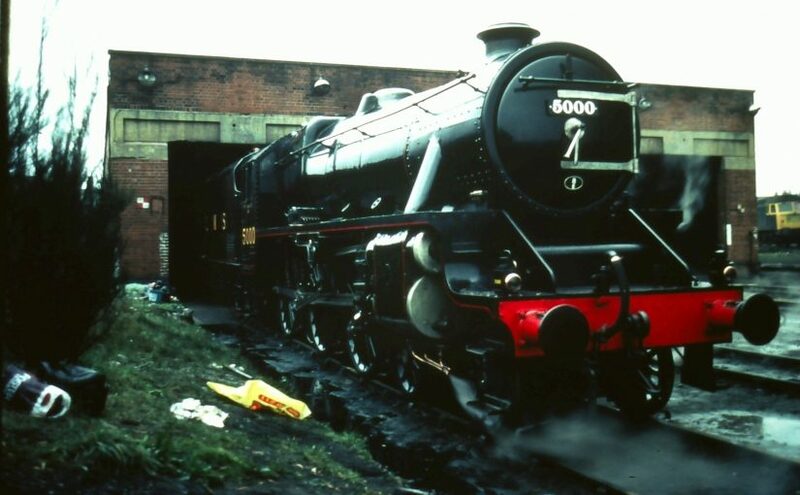 Photo above: LMS ‘Black Five’ 5000 on shed at Northwich in the early 1980s.